You’d be surprised how small actions can have big impacts. In October 2013, Café Scientifique New Mexico had a presentation on “Your Immune System vs HIV: Can the War be Won?”. 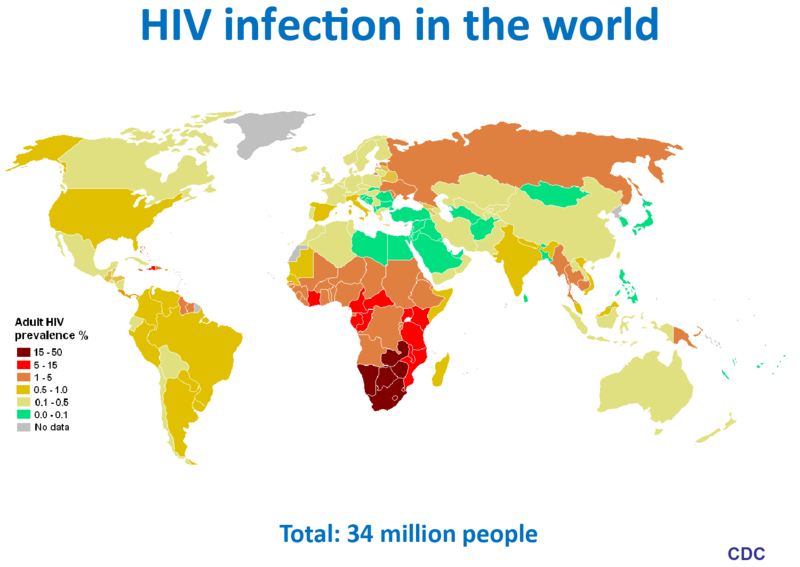 It focused on the battle that goes between an infected person’s immune system and the Human Immunodeficiency Virus (HIV). Dr Ruy Ribiero, from Los Alamos National Laboratory, asserted that the key developing a vaccine is having a full understanding of how the human immune system works and how it is tricked or taken over by HIV. Dr. Ribiero also talked about the social implications of HIV. In southern Africa there are over 23.5 Million people infected. 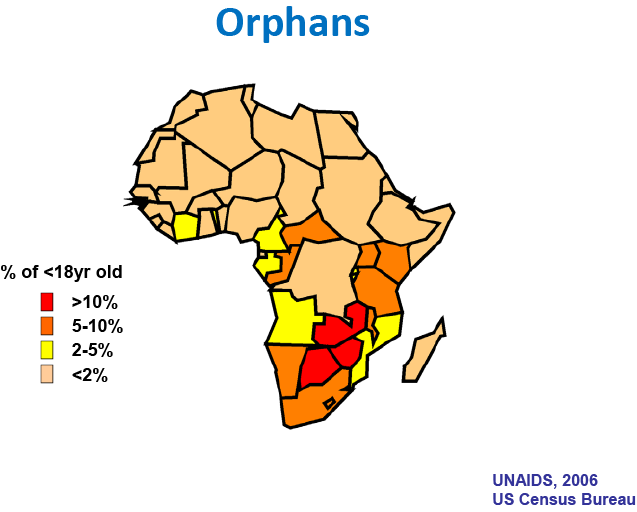 The high rate of infection in countries like Botswana has resulted in as many as 10% of all children under age 18 being orphans. As a consequence, older children in a family are now raising the younger children. 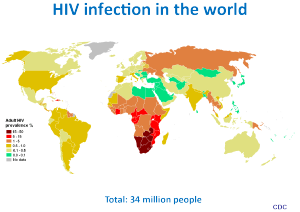 In the U.S. we have 1.3 Million infected persons. For most of the past 20 years HIV in the U.S. was restricted primarily to homosexuals and persons sharing drug needles. Unfortunately, today it has lately been spreading among heterosexual teens and young adults in the U.S. Thus, the spread of HIV and our progress towards a vaccine or cure is a topic that is relevant and important for teens to understand. To bring the message home about how easily HIV can be spread, we engaged in a simple experiment. Each person in the audience was given a cup with a clear fluid. Half of the room was instructed to share their fluids with only one other person. The other half of the room was to share with as many people as possible. One person, unknown to all the others in the room, was given a fluid “infected” with the HIV virus. After 10 minutes of participants mingling and mixing fluids, they were asked to go back to their seats. Then, an indicator fluid was dropped into each cup. The fluid of those who had shared with someone “infected” turned pink. As expected about 80% of those who shared multiple times were infected. The shocking part was that nearly half of those who only shared once were also infected. It was a very powerful take home message that it really only takes one bad decision and your life can be turned on end.